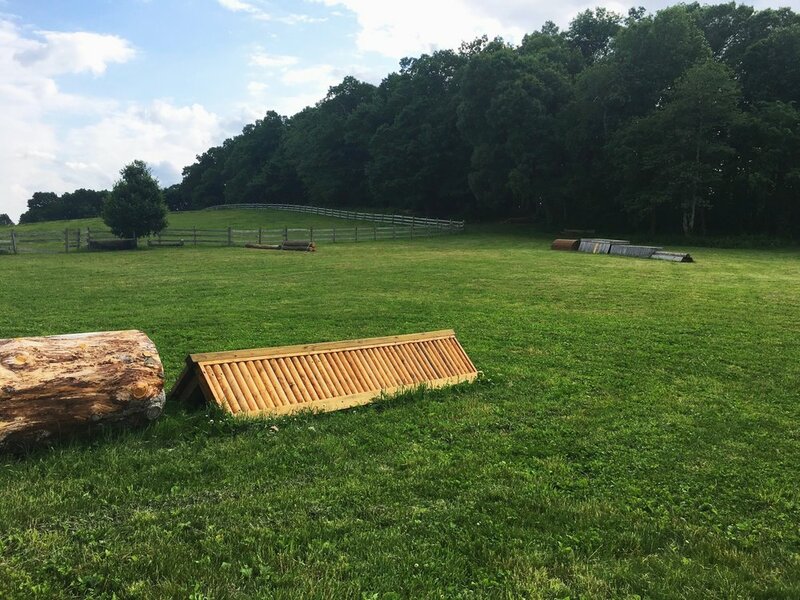 Scarlet Hill is a beautiful and friendly combined training facility located on a renovated cattle farm in Groton, MA. We host clinics, schooling shows, and events throughout the year. 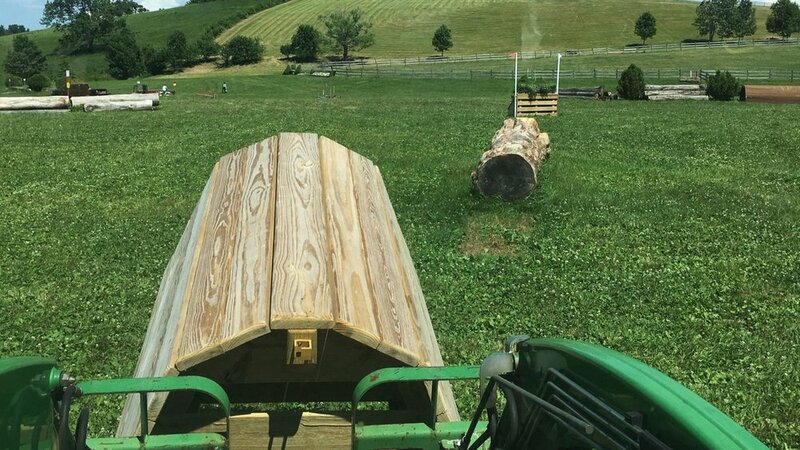 Our cross-country course, open for schooling early summer through late fall, offers questions and fences appropriate to elementary through preliminary riders. We also have extensive hilly trails open for conditioning and gallops. 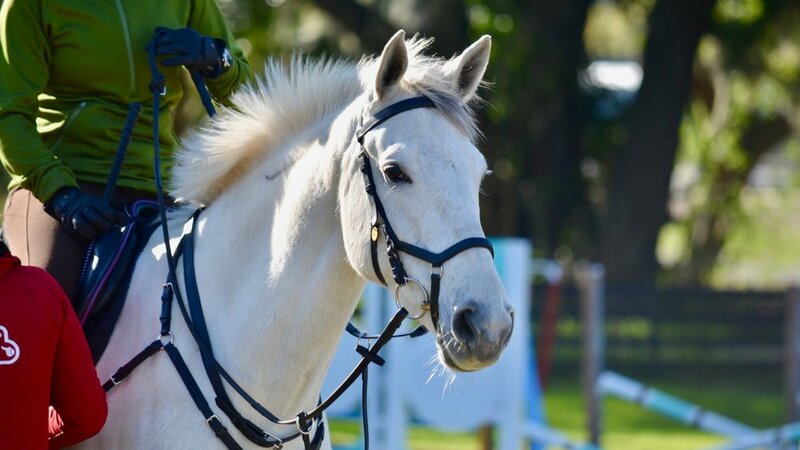 We offer a comprehensive lesson and training program for boarders and ship-in clients, specializing in Eventing, Dressage and Pony Club preparation. Meredith Scarlet and Denise Goyea, our resident trainers, are certified in eventing instruction by the United States Eventing Association. WE HOPE TO OPEN THE XC COURSE BY MAY 1! Find out more about XC schooling at Scarlet Hill. Get your discounted schooling passes now - sale ends when the course opens! XC Schooling Pass - SALE! The field is closed for the winter, but we have started building new jumps for spring! To help fund the building, we are offering a discounted schooling pass, 5 trips for the price of 4 for $200. Passes may be shared between riders and are good as long as we offer schooling. Discount ends when we open the course in May. Scarlet Hill offers instruction with Denise Goyea, Meredith Scarlet, and Laura Gillmer. We offer lessons, training and coaching to our boarders and also to ship-in students. We host regular clinics and a variety of events. Unfortunately we do not have a lesson program for students without their own horses. Visit our logo wear store and stock up on competition polos for this upcoming season! Products are available in lots of colors and if there is something you are interested in that isn't on there, please let us know. We currently do not have any sale or lease horses. Please check back!